Now here is a HUGE claim to kick off this blog post! Not only is the TranzAlpine train journey undeniably the most scenic railway in New Zealand, it is arguably the most scenic railway in the world. Wowser. We told you it was a big claim! 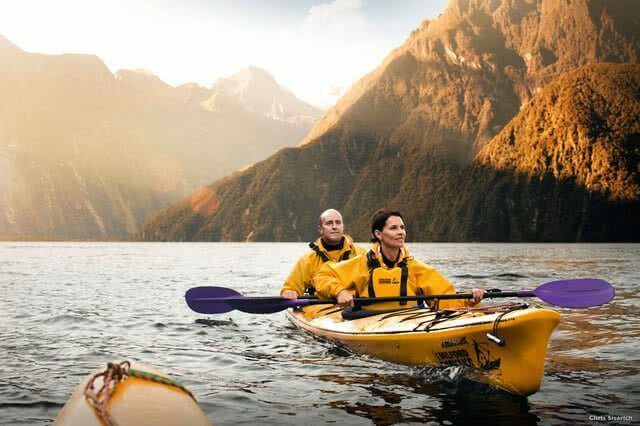 We are perhaps a little biased – after all, we’re not called GO Explore New Zealand for nothing! It is an absolute stunner of a train journey though and one that should make it onto your itinerary of things to do in this beautiful country. What is the TranzAlpine Railway and where does it go? Beginning (or ending depending on which way you look at things!) in the historic South Island city of Christchurch, the railway cuts across the farmland of the Canterbury Plains before following the Waimakiriri River and then up into the magnificent Southern Alps via spectacular viaducts. At famous Arthurs Pass there’s an opportunity to take photos of the misty mountains before disappearing into the long Otira Tunnel and then descending into lush sub-tropical rainforest, past Lake Brunner, and finally stopping in the small west coast town of Greymouth. It is 4.5 hours of fabulous views, beautiful countryside and a great way to see the South Island from east coast to west coast. See, we told you it was awesome! The daily service departs from Christchurch at 8.15am and there is a complimentary shuttle bus which picks TranzAlpine passengers up from their hotels. You can decide whether to return the same day – entirely possible as the return journey leaves Greymouth at 1.45pm, an hour after the first service arrives – or to use Greymouth as a jumping-off point to explore the west coast, via buses, down to the magnificent Franz Josef Glacier. We recommend hopping off for a couple of days to explore the West Coast and although you won’t be able to take your beloved GO Rentals hire car with you, the bus service down the West Coast is pretty awesome and it’s always nice to have a couple of days off driving! Whether you’re booking a one way, same day return or open return, we recommend booking early as it can get booked up pretty quickly throughout the year. It’s such a scenic route in any season and it a great way to explore the Southern Alps. You can book tickets at the KiwiScenic website. Shortly after leaving Christchurch, the train speeds through open farmland and dry beech forests, with the snow-capped peaks of the Southern Alps visible on the horizon. The panoramic windows ensure that wherever you’re sitting, you’ll enjoy an almost unhindered view of the scenery. If you want to get your camera out, head to the open-air viewing carriage – with nothing between you and the view, it’s pretty spectacular if a little chilly so wrap up warm! Roughly an hour into the journey, the train begins to climb into the mighty Alps, with the dramatic Waimakiriri River gorge to the right. A series of tunnels and bridges allows the train to traverse the gorges and craggy mountainside, including the Staircase, the highest viaduct on the TranzAlpine scenic railway, which offers stunning views of the alpine scenery. Passing grassy plateaus, rolling hills and misty mountains, the train eventually enters the Otira tunnel, which at 8.6km is one of the longest in New Zealand. Once out of the tunnel, the train makes it way across a deep valley, never out of sight of snowy mountains, and crosses the Otira River several times before passing beautiful Lake Brunner. If returning to Christchurch the same day, you may consider hopping out here and exploring the area for 3 hours before the return train arrives back. Enjoy a lake cruise, fish for trout, graze on seafood at a local restaurant or hike one of the many trails. Along the route from Christchurch to Arthur’s Pass Village you will find another cool area known as Castle Hill. Castle Hill or Kura Tawhiti is of special cultural, spiritual and historical significance to the South Island Ngai Tahu Maori, who have a caretaking role in the land. Traces of 500-year-old rock art are hidden amongst the 40-million-year-old limestone formations which cover the land. The spectacular rock crown, named for it’s resemblance to a ruined castle, is just a few minutes walk from the road, making it a perfect family excursion. There is a mystical air about the land, and the caverns and overhangs create some surreal acoustic effects. Castle Hill has a number of rock climbing and bouldering routes and climbing faces. Remember that this is a reserve of cultural significance, and follow the Castle Hill Basin ethics guidelines. The TranzAlpine scenic railway is a once-in-a-lifetime trip across some of the most stunning scenery in the world. A visit to the South Island would not be complete without it. Get GOing! Such stunning pictures! You’ve certainly captured the beauty of this fantastic journey. I loved the sights during my Tranzalpine train journey so much that I had to go back by car and enjoy the sights once again at my own pace. I’ve actually written an article comparing the benefits of each trip! "Shantytown recreates a late 1800s gold mining town populated with heritage buildings that tell stories of fortitude and pioneering spirit through a fascinating mix of experiences and displays. Your entry ticket entitles you to ride through the native rainforest on an 1877 or 1896 steam locomotive, where you can disembark at the Gold Claim and pan for your own gold! * Not applicable on shop, old time photos and cafe."